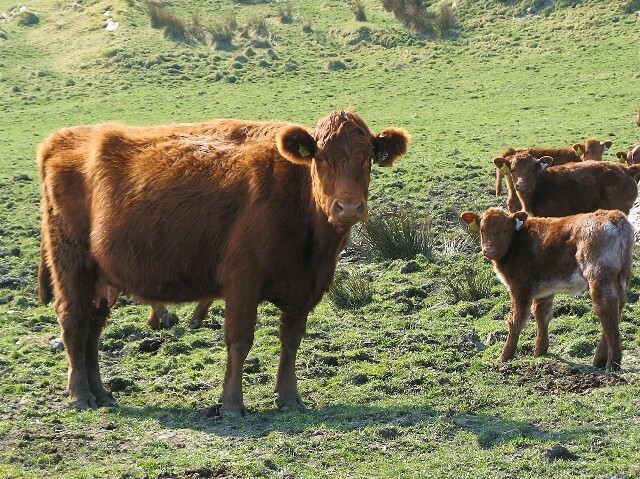 Established in 2002, by the James Hutton Institute, this experiment investigates the effects of different grazing intensities on the biodiversity of upland moorland. Detailed monitoring of plants, invertebrates and birds is carried out regularly to investigate how species and communities respond to different grazing treatments, and how responses at lower levels of the food chain affect those higher up. The experiment involves 24 grazing enclosures, measuring 3.3 hectares each. There are four grazing treatments with six replicates of each. These are positioned in three blocks of two replicates each, located in different parts of the estate and approximately 5 km from each other. Livestock graze the plots from April to December. There are two low-intensity grazing treatments, one with three sheep per enclosure, the other two sheep per enclosure and an additional two cows and suckling calves for four weeks in the autumn. There is also a high intensity grazing treatment of nine sheep per enclosure and an ungrazed control. Baseline data was collected within each of the plot areas before the erection of the fences in 2002. For further information please visit the James Hutton website.